Maximum Pest Control Services is a leader in pest control management www.maximumpestcontrol.ca offering employment in one of the most dynamic career path with opportunity for growth. Creating employment for individuals with career focused driven combined with many skilled advanced development and sales techniques taught ensuring steady growing for a top rated career ever. Maximum Pest Control Services is a dedicated service support technicians and sales staff professionals with academic credentials members of the national pest management association. We are proud in our service reputation and continues ever changing pest management innovation. 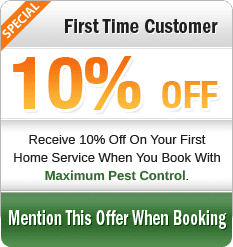 Maximum Pest Control Services represent equal opportunity committed to quality employment for the right candidate. From sales to wildlife freelance and pest control technicians, positions are open for a quality career that you could be proud of working with one of the top leading companies in pest control management sector. At Maximum, meeting customer needs is all about Opportunities for career advancement excellent team to excel and a wonderful lasting future. We Welcome Self Contractors A Board.!! !